Da Capo Press, 9780306808456, 366pp. Following the course of Civil War campaigns can be taxing for even the most well-read military scholar. The operations at major sites such as Vicksburg, Gettysburg, and Petersburg were complicated matters, with generals on each side commanding infantry and cavalry brigades from different positions and making simultaneous movements along complex geographic routes; the battles were less climactic moments than prolonged struggles marked by continual flux. But Theodore Ayrault Dodge makes it easy. With his well-drawn maps, his positioning of each movement with its date and, where important, time, his enumeration of the size ofand the losses suffered bythe various forces engaged, Dodge makes every episode of this long war clear and comprehensible. 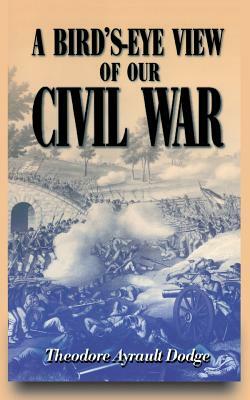 His concise military history of the American Civil War evenhandedly treats major and minor operations with the space each deserves, presenting a kind of skeleton of the Civil War. Here is perhaps the only general history that avoids over-detailed descriptions and technical terms, withholds partisan bias, treats generals on both sides with admiration and respect, and communicates elegantly yet succinctly, calmly yet vividly, the entire course of the conflict that changed the way men and nations make war. Lieutenant Colonel Theodore Ayrault Dodge (18421909) served in the New York volunteer infantry during the Civil War. His books include Alexander, Hannibal, The Campaign of Chancellorsville, A Bird's Eye View of Our Civil War, Gustavus Adolphus, Cesar,and Napoleon (in four volumes).